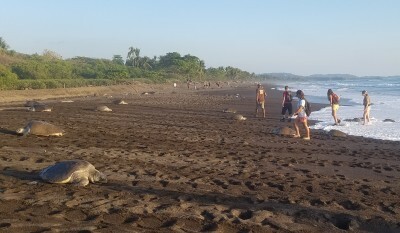 Before graduating in December, Bishop used an OWU-funded Theory-to-Practice Grant to travel to Costa Rica to support sea turtle conservation efforts. “The Pacific Ocean population of leatherback sea turtles is very endangered, and it is the focus of the researchers at the Goldring-Gund Research Station, affiliated with the Leatherback Trust. “Where decades ago thousands of leatherback sea turtles used to nest on Playa Grande (where the research station is located), in the last few years, only about 20 have come out to lay eggs, which is direly worrying. However, conservation efforts there began about 20-25 years ago, and now is the time to begin seeing their effects. “In the nine days I was there, teams patrolled the beach every night for six hours, waiting for turtles to come out with the high tide and lay eggs. Eggs are then taken and transported to a safe hatchery. It can be tiring and icky work, especially in the high humidity and temperatures on the beach. In those nine days, we had a remarkable number of leatherback turtles come out—four or five. “This expedition allowed me to see a lot of what I learned about conservation in class applied directly in the field. It showed me the devotion that biologists have to their work, and it basically allowed me to experience my major in practice. 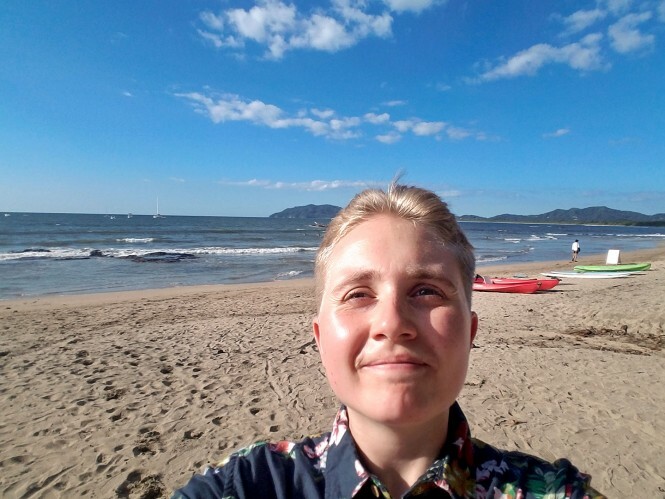 “I previously had amazing experiences on a Theory-to-Practice Grant going to Taiwan to learn about the Taiwanese queer community, and I knew that the TPG program is an amazing way to develop a project of one’s own or embark on a program you usually wouldn’t be able to afford.